Great Conversations at Gettysburg is a newly launched series of occasional programs sponsored by the Gettysburg Foundation that are held onsite and draw from the themes of Gettysburg. Stephen Lang portrays Union soldier James Jackson Purman. Purman's story is one of kindness and fellowship. Stephen Lang and Harold Holzer's performance and post-show discussion focused on stories of challenge, humility and conciliation. 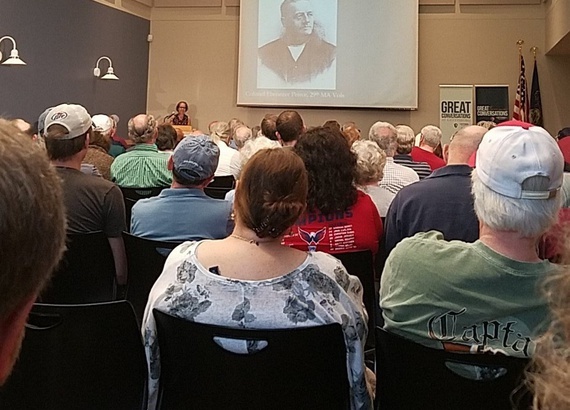 The inaugural event—held in June 2018—was a book/idea festival focused upon the challenges facing museums, the Gettysburg battlefield, the continuing struggle surrounding civil rights, and the Eisenhower legacy. Future events will enjoin citizens in Great Conversations on related topics, such as preservation and sustainability, civility and democracy, and literature and creativity. The overarching goal is to host thoughtful, respectful, and inclusive conversations about issues that matter.